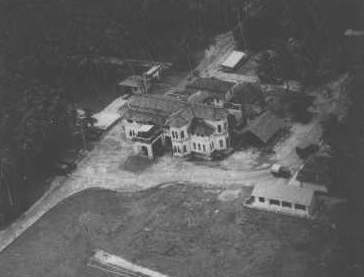 One of 1850 Squadron's Bases from the air. Location possibly, India or Ceylon. 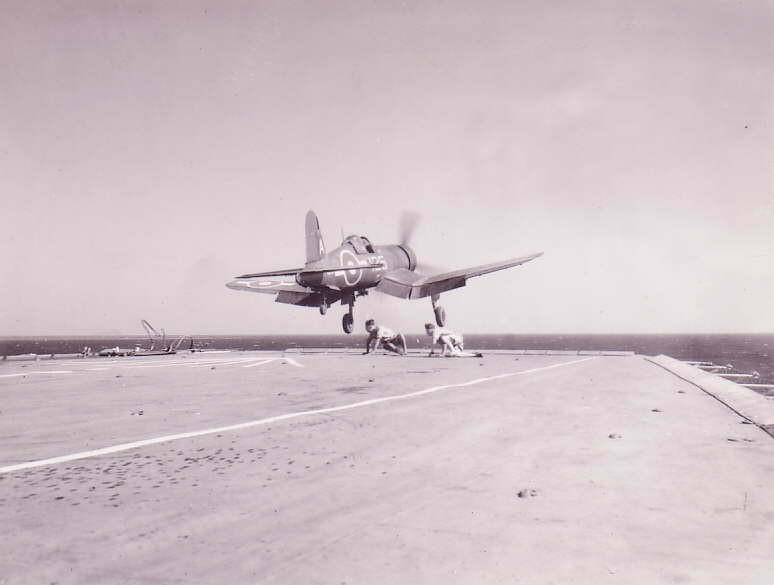 1850 Squadron Corsair 120/A (KD 837), takes off from HMS. Vengeance. 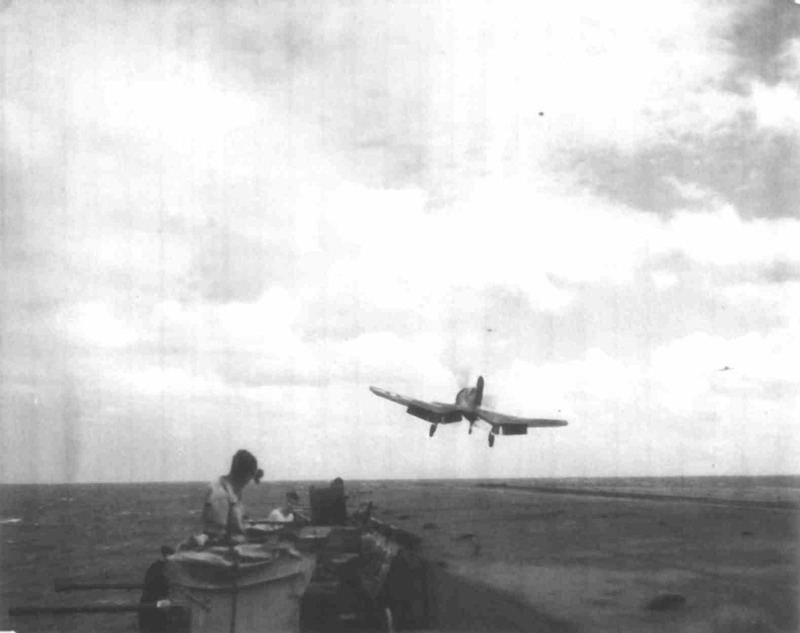 Corsair taking off, other Corsair's in distance. Date and Location unknown. 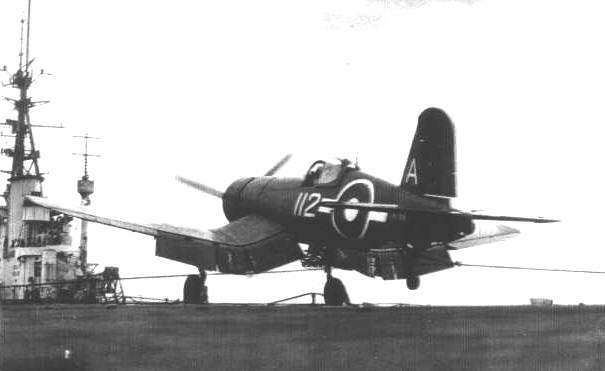 1850 Squadron Corsair 112/A (KD 706) 'landing-on' HMS. Vengeance. Date unknown. An 1850 Squadron Corsair (KD 806) landed starboard side, catching No.4 wire and collided with small crane on HMS. Vengeance, 13th August 1945. Pilot Lt. R.G. Payne. 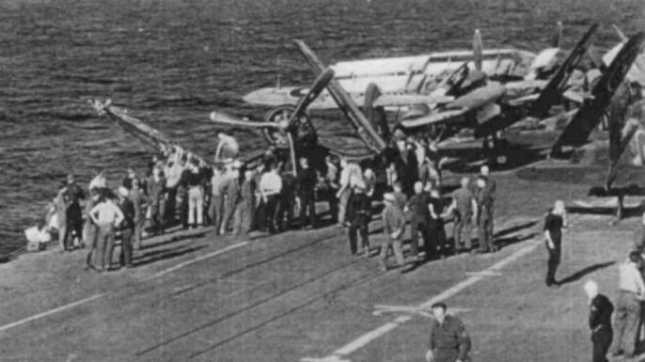 1850 Squadron Corsair's on Flight Deck of HMS. 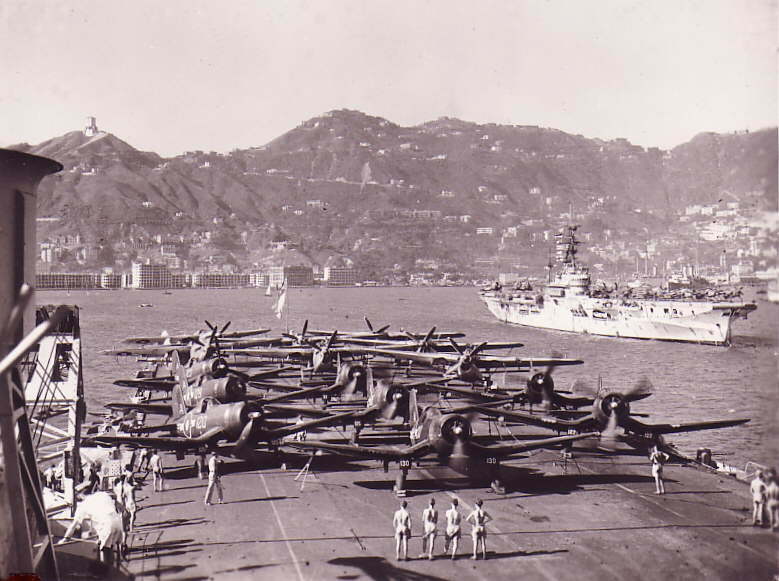 Vengeance in Hong Kong Harbour in 1945. HMS. Venerable in background. Corsair Nos. Left: 120/A, 128/A, 123/A. Corsair Nos. Middle: 130/A, 125/A, ???/A. Corsair Nos. Right: 122/A, 124/A. 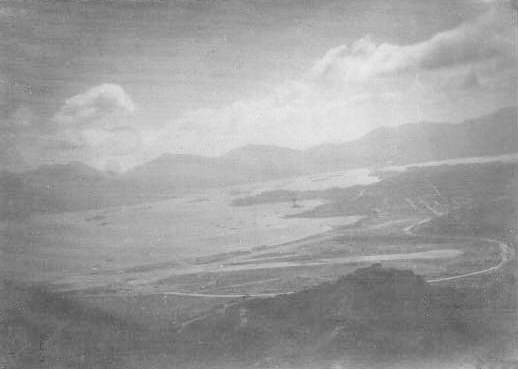 Kai-Tak airfield in Kowloon City with Bay in background.